Check out the full photo gallery and interview at Refinery 29! Have the past six or so weeks left you with a strange tinge of emptiness, disorientation, or edginess? Well, you — like the rest of us — are likely suffering from an acute case of Scandal-deprivation. To those who don’t tune in every Thursday night, these symptoms might be deemed silly or made up. Well, they just don’t know what it’s like to be left abandoned for the whole winter, with dozens of pressing issues plaguing you night and day. For instance, are we to believe Olivia Pope’s dad is a good guy now — or, is he merely the lesser of two evils. Or, will we ever be able to trust Huck again, or did he cross a point of no return? Will Olivia and her beloved Fitz ever return to that magical remote, dream home? And, then there’s one question that plagues us more than all the others: What happened to the Quinn we thought we knew, and will she ever come back? Sadly, we won’t know any answers until the show returns on February 27. But, we figured you might need a little pick-me-up to help get you through the final stretch. 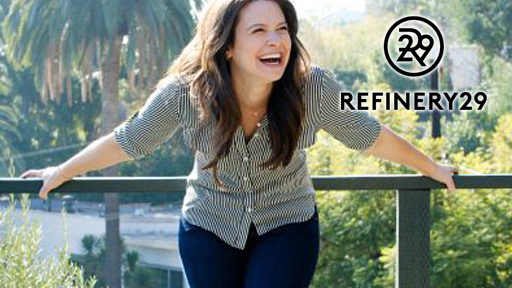 Enter: Katie Lowes, the bubbly New York-native now living in a really rad bungalow in the Hollywood Hills with her husband, in their first home as a married couple. As the actress behind perhaps the show’s most complex character, Quinn Perkins (or, Lindsay Dwyer), Lowes has a way of making her character feel entirely relatable one minute and completely volatile and out of control the next. Ahead, come with us as we leave Quinn behind with the rest of the gladiators, and spend the day with Katie Lowes at her house in Hollywood.